Little River and North Myrtle Beach, South Carolina are energized areas of growth on the Grand Strand. Currently seeing some of the largest commercial growth, vacationing on the South Carolina coast will introduce you to some of the best shopping and meals in these booming towns. One of the most well know establishments is Barefoot Landing: a top shopping haven for those in North Myrtle Beach. “The Marina Life” is how many describe their community in Little River. 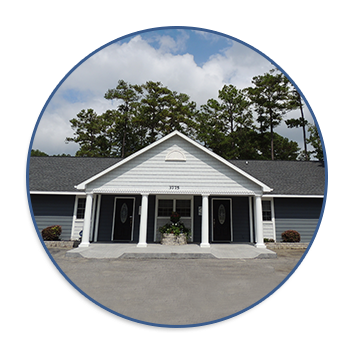 To better serve the Grand Strand, Murray Law Offices chose Little River as one of our 4 locations. Whether you are looking for legal services in Georgetown or Horry County, our South Carolina attorneys are here to represent you in case of an accident, injury, criminal charge, traffic violation, real estate closing, estate planning, and family law needs. Have you found the perfect residence and are ready to purchase? Are you looking at signing a contract? For your real estate closings, probate, wills and business formation needs, ask for managing attorney Katharine Keaton or attorney Brad Maxwell. Did you have a car accident or receive a traffic violation while traveling the Grand Strand? Do you have a family member who was injured or whose life has been lost due to someone else’s negligence, medical malpractice, or nursing home abuse? Are you in need of a divorce or Family Court Lawyer? Has someone served you with a lawsuit? Ask for our legal services attorneys. If you have any legal needs or received a ticket, call Murray Law Offices today to schedule a consultation with our experienced legal team. Whether you are local or a visitor we want to help you. Reach us today at 843-286-1000 or by email.